A unique blend of aged tobaccos moistened with imported French and Dutch liqueurs for a rich aroma and a mellow, comfortable smoke. 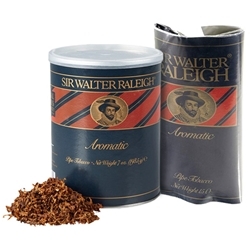 Our unique combination of tobaccos is aged just long enough to ripen to maturity. Then, it is lightly sprinkled with three imported liqueurs to provide this blend with its distinctive aroma and a satisfying taste.